Welcome to Hindustan Cabs. We are one of the leading Travel and Transport company in South India .Playing major role in Trivandrum ( Thiruvananthapuram), Cochin ( Kochi ), Allapuzha, Kanyakumari, Tutucorin, Madurai and Coimbatore. We provide the best quality service with the motive of making Hindustan Cabs, Hindustan Transports and Shipping in to a NO 1 brand in INDIA. 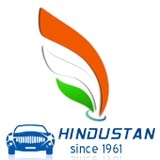 Hindustan Cabs entered into the Indian market with Taxi and Trucks SINCE 1961. Do to the day by day hard work and the good service, we have a good customer support with Millions of Smile. 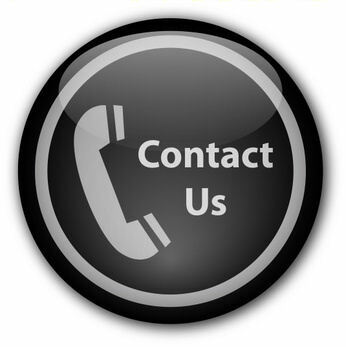 Our motive - " BEST QUALITY SERVICE @ ECONOMY RATES"
Hindustan Cabs always promises and proven, the best service all time. By providing the best Quality service @ Economic rates. In this competitive world, We always look forward to deliver the best quality service all time. Assuring Good Vehicle and Driver. TAXI TRIVANDRUM, TRIVANDRUM TAXI, THIRUVANANTHAPURAM TAXI, THIRUVANANTHAPURAM, KERALA, TAXI, RENT A CAR, TAXI, CALL TAXI, NEW CARS, UPCOMING CARS, 2014 CARS, UPCOMING CARS IN INDIA, HINDUSTAN CABS, TAXI , CAR RENTAL IN TRIVANDRUM, KOVALAM, KOVALAM TAXI, POOVAR TAXI, KANYAKUMARI, MUNNAR, ALAPPUZHA, THEKKADY, MADURAI TAXI, DELHI TAX, MUMBAI TAXI, TRIVANDRUMTAXI. Trivandrumtaxi, Trivandrum taxi, Thiruvananthapuram taxi, taxi service Trivandrumtaxi, Trivandrum taxi, Thiruvananthapuram taxi, taxi service Trivandrumtaxi, Trivandrum taxi, Thiruvananthapuram taxi, taxi service Trivandrumtaxi, Trivandrum taxi, Thiruvananthapuram taxi, taxi service Trivandrumtaxi, Trivandrum taxi, Thiruvananthapuram taxi, taxi service Trivandrumtaxi, Trivandrum taxi, Thiruvananthapuram taxi, taxi service Trivandrumtaxi, Trivandrum taxi, Thiruvananthapuram taxi, taxi service Trivandrumtaxi, Trivandrum taxi, Thiruvananthapuram taxi, taxi service Trivandrumtaxi, Trivandrum taxi, Thiruvananthapuram taxi, taxi service Trivandrumtaxi, Trivandrum taxi, Thiruvananthapuram taxi, taxi service Trivandrumtaxi, Trivandrum taxi, Thiruvananthapuram taxi, taxi service Trivandrumtaxi, Trivandrum taxi, Thiruvananthapuram taxi, taxi service, taxi, india taxi, kerala taxi, india,bomabay, Mumbai, Mumbai taxi, Bangalore taxi, airport taxi, airport taxi, taxi service, taxi, taxi, Chennai taxi, Chennai taxi services,delhi taxi, Trivandrum, thiruvananthapuram, munnar , munnar taxi, alappuzha, alappuzha taxi, thekkady taxi, thekkady, idukki, wayanad, wayanad taxi, upcoming cars, 2014 car, upcoming cars in india, upcoming mobile phones, smartphone, smart phone rates, smart phone prices, new English movies, upcoming mobiles, games,laptops. ubertrivandrumcontactno, olatrivandrumcontactno, uber trivandrum, uber thiruvananthapuram, olatrivandrum, olathiruvananthapuram, mangocabstrivandrum,fast track trivandrum, cellcabs trivandrum, trivandrumtaxiservice, thiruvananthapuram taxi, rent a car, calltaxi, poovar taxi rates, poovar to kanyakumari taxi, calltaxi poovar, ashtamudi taxi service, kollamtaxi, kovalam taxi service, poovar to kovalam taxi, munnar taxi service, thekkady taxi service, kodaikanal taxi service, madurai taxi service, rameshwaram taxi service, call taxi trivandrum.